Steve Forbes outboxed veteran Tavorus Teague over seven rounds, grinding out a unanimous decision victory Saturday night at The Armory in Clackamus, Oregon. Forbes weighed 159.25 pounds for Saturday’s seven-round bout, 30 pounds more and about 18 years removed from when he won the IBF junior lightweight title in December of 2000. Fighting near his hometown of Portland, the 42-year-old Forbes relied on his quickness and ring generalship to outpoint Teague. Scores were 69-64, 68-65, and 67-66 for Forbes, who improves to 36-14, 11 knockouts. It was Forbes’ first fight in four and a half years. Saturday night also marked Forbes’ first victory in almost eight and a half years. 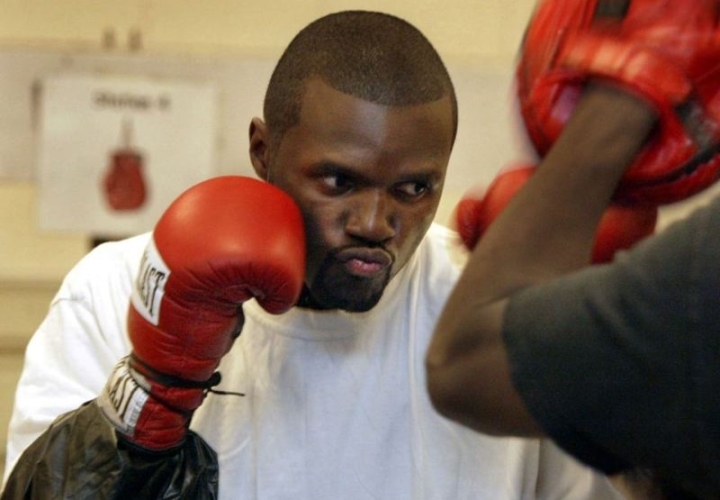 Forbes is also known for his participation in the first season of The Contender in 2006, where he lost to Grady Brewer in the final of the reality series. Teague, who resides in the Los Angeles suburb of Paramount, drops to 6-26-4, 3 KOs. The 31-year-old Teague has lost six of his last seven bouts. In junior lightweight action, Victor Morales, Jr. stopped Marcelo Gallardo in the seventh round. The 21-year-old Morales dominated the action from the opening bell, raining down several combinations to the shorter Gallardo (7-5-2, 3 KOs), who attempted to trade in the pocket, but was overwhelmed by the aggressive Morales. The end came at 2:40 of round seven as referee Joel Scobie stepped in and stopped the bout, saving Gallardo from receiving further punishment. Morales, who resides in Vancouver, Washington, improves to 11-0, 7 KOs and has now stopped his last five opponents. Welterweight Daquan Wyatt (3-0, 3 KOs) of North Las Vegas, Nevada stopped Somethonit Phoumychack (0-6) at 2:45 of the second round. Christina Lunzman promoted the card. It's nice to see another pro card in the Pacific Northwest. We don't get too many boxing cards up here! People can argue he beat oscar...anyway... seems this generation in boxing has completely declined.... that old veterans see opportunities for a comeback... crazy..